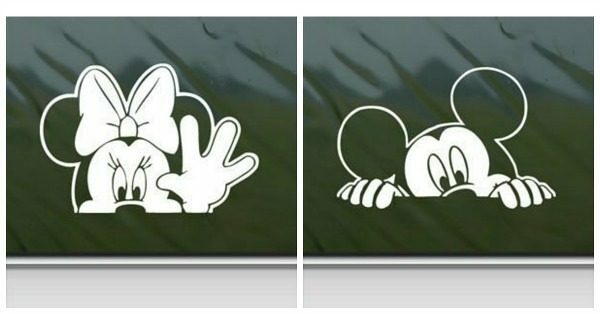 Minnie Mouse and Mickey Mouse White Sticker Decal $3.89 + FREE Shipping! You are here: Home / Great Deals / Amazon Deals / Minnie Mouse and Mickey Mouse White Sticker Decal $3.89 + FREE Shipping! Head over to Amazon and get the Minnie Mouse Wave White Sticker Decal and Mickey Mouse White Sticker Decal for just $3.89 each. Plus, shipping is FREE! You can apply sticker to almost any surface: Walls, Doors, Mirrors, Plastic, Metal, Windows, Wood, etc.